Here are the unlisted YouTube weblinks from the Behold the Star Cantata to watch and potentially pass it on to your friends and family. The St. Simon’s NV Joint Choir, led by Janice Hird, did a wonderful job. Categories: Uncategorized | Tags: Anglican Mission in Canada, Cantata, Choir, Christmas, Janice Hird, St Simon's North Vancouver | Permalink. The late Elie Wiesel, famed writer and holocaust survivor, commented that there is divine beauty in learning, just as there is human beauty in tolerance. Most of us as Christians believe in the value of tolerance even if we cannot define what it means. The Concise Oxford Dictionary speaks of tolerance as forbearance which means to completely bear with someone’s failings as you patiently give them time to grow. As Ephesian 4:2 says, we are to be patient, forbearing and bearing with one another in love. To joyfully tolerate someone doesn’t mean that we need to agree with them. As Dr John Gottman puts it, when you honor and respect each other, you’re usually able to appreciate each other’s point of view, even if you don’t agree with it. You don’t need to be a moral relativist winking at sin, in order to be biblically tolerant. The joy of tolerance is the love of neighbour, doing unto others as you would have them do unto you. Tolerance is also about choosing to forgive. As Colossians 3:13 puts it, we need to be forbearing one another and forgiving one another, if you have any quarrel against one another. Sometimes our children and teenagers greatly try our patience, particularly when they may be teasing their siblings. The joy of tolerance includes setting healthy boundaries while not giving up on painful people, including our family members. The Concise Oxford Dictionary also speaks of tolerance as recognition of the right of private judgement in religious matters, including the liberty to uphold one’s religious opinions and forms of worship. Our democratic freedoms, like freedom of thought, speech and assembly, enshrined in our Bill of Rights, are all rooted in the primary freedom, which is freedom of religion. 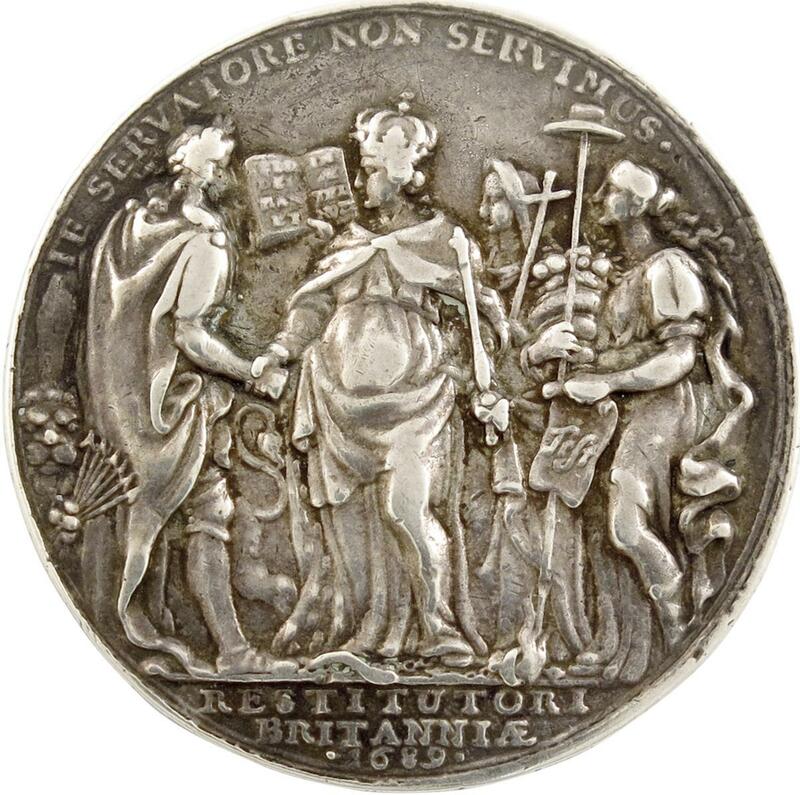 The British Act of Toleration in 1689 was a huge step forward in advancing the democratic rights of people to freedom of religion. GK Chesterton commented that tolerance sometimes leads to timidity where people become afraid to even mention their religious views. True tolerance doesn’t push religion into a closet but welcomes it joyfully in the public square. Intolerance is often like bad breath and body odor; it is difficult to always notice one’s own intolerance. Sometimes people who pride themselves on being more tolerant than others end up intolerantly looking down on other people. Dr Timothy Keller commented: “If you’re intolerant of people you think are intolerant, you’re still intolerant. If you are judgmental of people you think are judgmental, you are judgmental.” Sometimes smokers in our postmodern culture are intolerantly treated like outcasts. We Christians need to remember to love the smoker even if we cannot tolerate their second-hand smoke. We visited all 10,000 homes in the Seymour/Deep Cove area, inviting people to the March 3rd to 5th 2017 Festival of Hope at Rogers Arena with Franklin Graham. We were impressed by the tolerant welcome and hospitality of our neighbours. Even atheists would kindly engage us in fascinating conversations. True tolerance does not have to agree in order to love. As Romans 2:4 says, God himself is tolerant, forbearing, kind and patient, giving us time to change and turn back. My prayer for the Lower Mainland Christian community is that we would grow in joyful tolerance as we share our common faith in the one Lord Jesus. 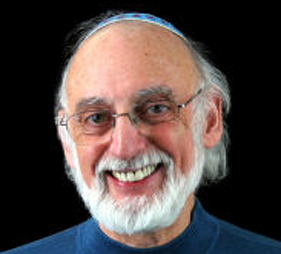 Categories: Uncategorized | Tags: Dr John Gottman, Dr Timothy Keller, Elie Wiesel, Festival of Hope, Forbearance, GK Chesterton, joy, St Simon's North Vancouver, Tolerance | Permalink. The late G.K. Chesterton is one of the most significant writers in the past hundred years. His ‘friendly enemy’ George Bernard Shaw called him a colossal genius. 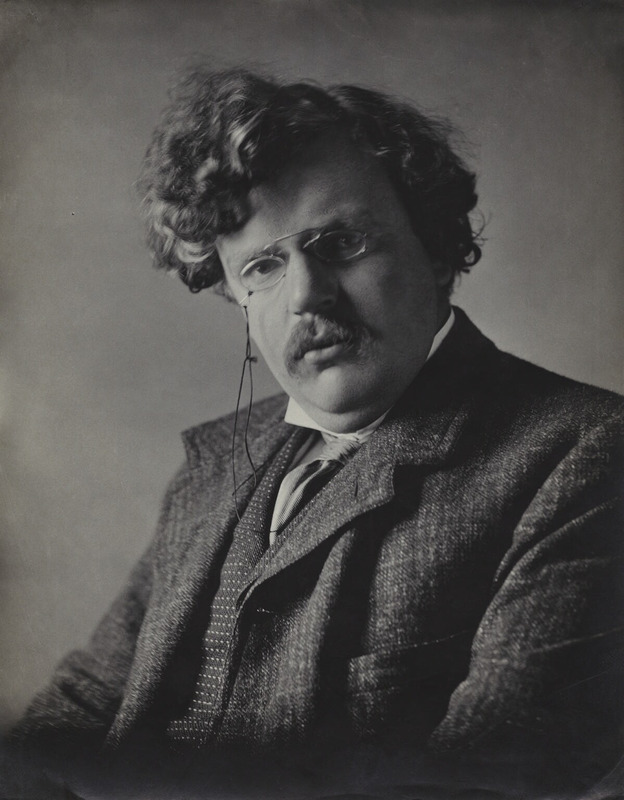 Chesterton wrote many biographies, including those of Robert Louis Stevenson, William Chaucer, St Benedict and St Francis of Assisi. 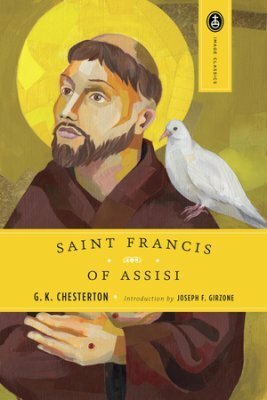 Chesterton’s biography on St Francis told us as much about Chesterton as about St. Francis. They had remarkable things in common. Both Chesterton and Francis had a grateful appreciation of the gift of God’s creation. 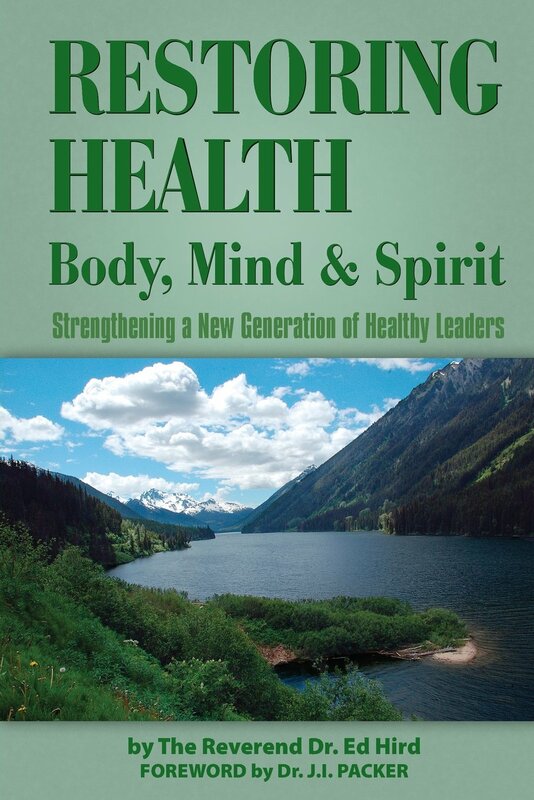 Rather than exploit nature, they both cared for it as faithful stewards. Who can forget the classic 1972 movie ‘Brother Sun Sister Moon’, with its message of peace so loved by the hippies of San Francisco (Spanish for Saint Francis)? 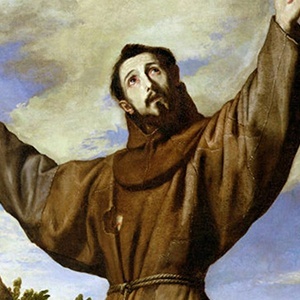 As Chesterton noted, “St Francis was so fiery and even fidgety that the church officials, before he appeared quite suddenly, thought he was a madman.” To renounce his wealthy father’s materialism did not make any initial sense to most people in his home town of Assisi. Both Francis and Chesterton were radically spontaneously generous to the poor and hurting. Everything they did for others was out of gratitude for Jesus’ sacrificial love on the cross. There was a playful laughter with both Francis and Chesterton that won the hearts of millions. Both used humorous drama to awaken the world from its cynical slumber. Chesterton was called the Angelic Jester. There is in both Chesterton and Francis an endearing childlikeness and innocence that draws people to Christ. Joseph Pearce, a Chesterton biographer, noted that “…the paradox of innocent wisdom was a fertile ground for Chesterton’s imagination.” The famous Oxford atheist CS Lewis came to faith after reading Chesterton’s book The Everlasting Man. It has been said that Chesterton, as one of the deepest thinkers who ever existed, made up for being deep by being witty. Both Chesterton and Francis not only made you think but also made you laugh. In a very Franciscan way, Chesterton taught that the secret of life lies in laughter and humility. Only grateful people are humble enough to laugh at themselves. Both Chesterton and Francis were romantic troubadours of hope calling people away from fashionable despair and cynicism. As self-described jugglers and jesters of God, they passionately romanced our hearts. At the heart of this romance was the key idea of taking things with gratitude and not taking things for granted. Without gratitude, said Chesterton, all we are left with is the emptiness of ‘bread and circuses’. Gratitude to God enables us, with Francis and Chesterton, to enjoy the gifts that are all around us. Chesterton commented about the joy of seeing a dandelion after temporary blindness, and how true pessimists can’t even notice the sunset. My prayer for those reading this article is that we like Chesterton and Francis will notice the dandelions and sunsets with new gratitude. Fr John O’Connor, Father Brown on Chesterton (Frederick Muller Ltd, London, 1937), 157. Maisie Ward, Return to Chesterton (London, 1952), 526. G.K. Chesterton, Heretics (Wilder Publication, London, UK, 1909), 131. G.K. Chesterton, Autobiography, (Hutchinson, London, UK, 1936) 330. Categories: Uncategorized | Tags: Anglican Mission in Canada, Assisi, Brother Sun Sister Moon, creation, CS Lewis, George Bernard Shaw, GK Chesterton, Nature, Robert Louis Stevenson, St Francis, St Francis of Assisi, St Simon's North Vancouver, St. Benedict, stewards, William Chaucer | Permalink. Do you have great expectations for Easter? I have always loved Easter, particularly our Easter family turkey dinners. 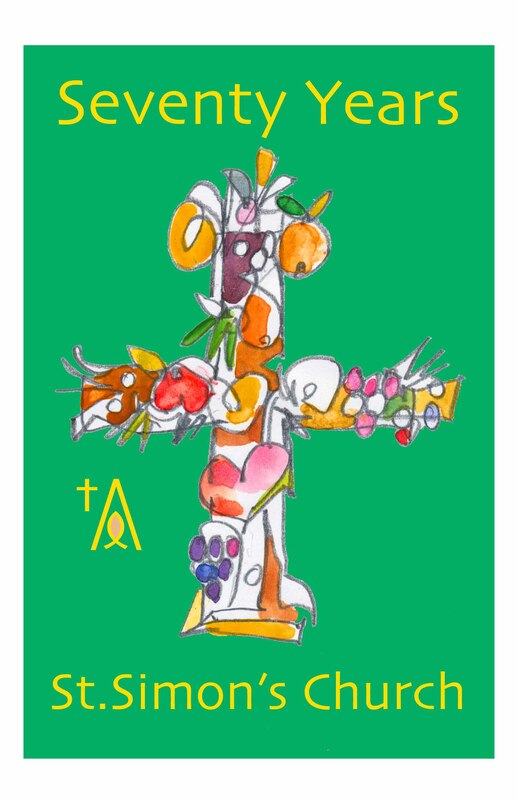 My earliest childhood Easter memories are of bunnies, chocolate, eggs, bonnets, lilies, flower crosses, and joyful singing. 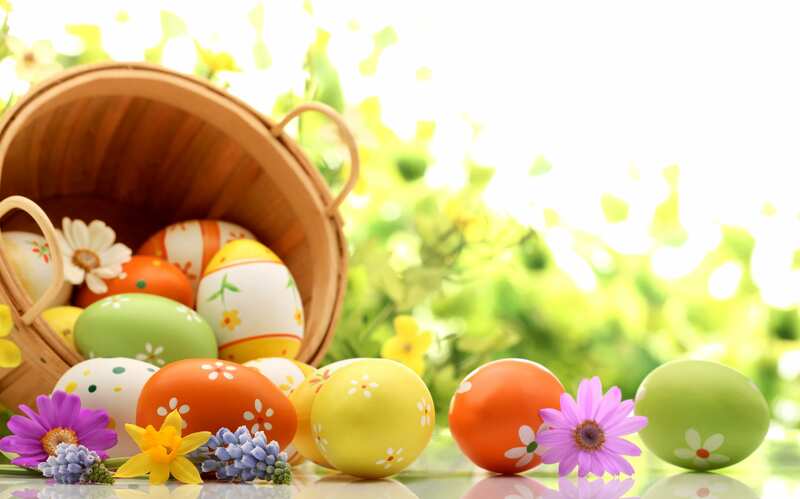 Easter can be a time of reconnecting and celebrating, a time of healing and new life. In Dickens’ Tale of Two Cities, as the hero Sydney Carton takes his friend Darnay’s place on the guillotine, he repeats Jesus’ Easter words: “I am the resurrection and the life; he that believes in me, though he were dead, yet shall he live: and whosoever lives and believes in me, shall never die”. Most of us, because of the unforgettable Christmas Carol book, associate Dickens more with Christmas than Easter. 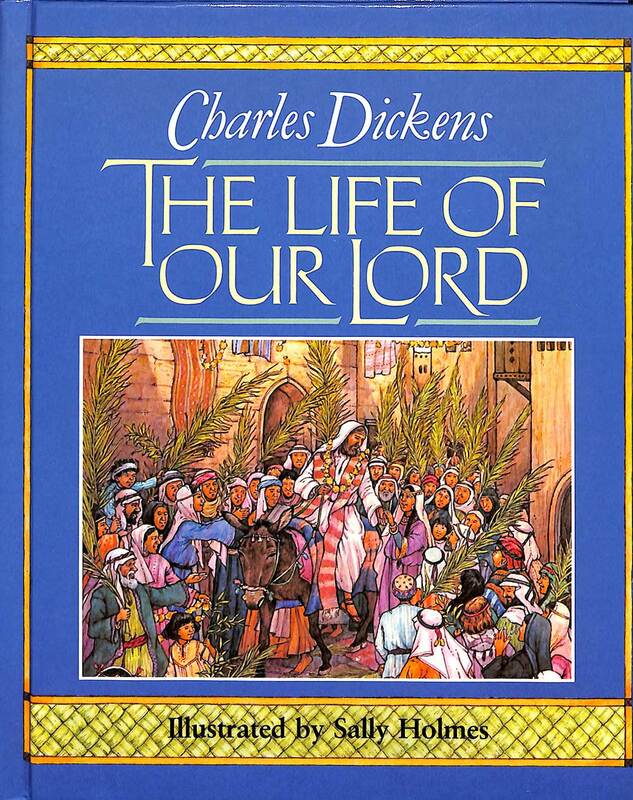 Yet Dickens had great expectations not just of Christmas but also of Easter. Dickens was a true Easter person. In most of Dickens’ novels, there are Easter moments of unexpected hope, transformation and breakthrough. Dickens rarely leaves us stuck in despair. The Easter moment in Oliver Twist was Oliver being welcomed into the kindly Brownlow family. In Dickens’ book Hard Times, life without mystery, creativity, and the supernatural is portrayed as barren, meaningless, and empty. In contrast to Easter, the materialistic philosophy in Hard Times taught that everything could be reduced to utilitarian facts and monetary gain: “Now, what I want is facts. Teach these boys and girls nothing but facts. Facts alone are wanted in life. Plant nothing else, and root out everything else…” Even heaven, said the teacher Thomas Gradgrind, could only be entered through earning one’s own salvation: “Every inch of the existence of mankind, from birth to death, was to be a bargain across a counter. And if we didn’t get to heaven that way, it was not a politic-economical place, and we had no business there.” Other people to Gradgrind were little more than depersonalized machines only to be valued as they served the industrial complex. Gradgrind was like an Easter Scrooge, saying ‘bah humbug’ to anyone with great expectations. But no matter how hard he tried, Gradgrind could not crush the Easter imagination, expectations, and compassion seen in Sissy. Only when Gradgrind’s daughter Louisa emotionally collapsed did Gradgrind finally realize that life is more than just bare cold facts, saying “The ground on which I stand has ceased to be solid under my feet.” Through his Easter moment, Gradgrind began “making his facts and figures subservient to Faith, Hope and Charity, no longer trying to grind that heavenly trio in his dusty little mills.” Even Scrooges and Gradgrinds can discover great expectations. Charles Dickens had great expectations at Easter, because he looked past the Easter baskets, bonnets, and bunnies to the very heart of Easter: Jesus’ death and resurrection. As an Easter person, Dickens wanted his children to know because Christ is risen indeed, there is always a way forward, even in hard times. My prayer for those reading this article is that this Easter would be a time of great expectations, great breakthroughs, and great hope. Charles Dickens, Hard Times, (Pocket Books, Division of Simon & Schuster, Inc., 2007, New York, NY), 9. Hard Times, Third Book, One Thing Needful, Chapter 1, p. 2. The Life of Our Lord, 8. The Life of Our Lord, 14. The Life of Our Lord, 3. The Life of Our Lord, 31. Categories: Uncategorized | Tags: Bah Humbug, Charles Dickens, Christmas Carol, crucifixion, Deep Cove Crier, Easter, Hard Times, Life of Our Lord, resurrection, scrooge, St Simon's North Vancouver, Tale of Two Cities, Thomas Gradgrind | Permalink. If the wise men at Christmas had been wise women, they might have brought Jesus practical Christmas gifts like baby toys, food or clothes (not myrrh, frankincense and gold). These wise men had no idea how their initial gift-giving at Christmas would eventually fuel the world economy, helping many businesses go from red into the black in December. Why is it that gift-giving at Christmas has become so entrenched in most people’s lives? Why is it that many of us struggle to unwrap the gift of Christmas? Why is it that Christmas, the most joyful time of year, is also the most depressing time of year for many? As a child, I loved looking forward to opening Christmas presents waiting under the Christmas tree. Our public school still had actual Christmas pageants in which I took my part as a Christmas shepherd. As a teenager, opening Christmas presents was still fun, but it started to lose its Christmas wonder. I still unwrapped the Christmas presents each December, but I never stopped to unwrap Christmas itself. I never stopped to ask why we were making such a fuss about the Christmas season. I will never forget when my mother had me go to church on Christmas day. It felt like a radical intrusion into an important holiday time. Why would someone go to church at Christmas? Even though I had been raised in church, I had no idea that God came to earth at Christmas, that God became a little baby in manger. I never rejected the meaning of Jesus’ birth at Christmas. I just never thought about it. It was so familiar to me that I was blind to Christmas. Home blindness, the tendency to become oblivious to what is in front of us, is a phenomena recognized by social scientists. People often say with regret that they never really appreciated what they had until they lost it. Each Christmas, there are a myriad of Christmas movies that express the theme of loss at Christmas, and rediscovering the joy of Christmas. The Christmas blockbuster ‘It’s a Wonderful Life’ [originally called the Greatest Gift] went unnoticed at its 1946 release, so much so that the copyright license in the late 1970s was not even renewed. This meant that television studios could show the movie for free at Christmas. After a few years of this, ‘It’s a Wonderful Life’ became a cult classic. Who can forget the conflict around the Christmas tree as Jimmy Stewart/George Bailey was close to committing suicide? Who can forget the final scene around the Christmas tree when all his friends come together and unite in support? Who can forget the joyful Christmas Carols sung by Jimmy Stewart, friends and family as they thanked the baby Jesus for the true meaning of Christmas? This Christmas, let not forget to unwrap the true gift of Christmas, the Christ Child come to earth to save us. Categories: Uncategorized | Tags: Christmas, George Bailey, gifts, It's a wonderful life, Jesus, Jimmy Stewart, Mark Hird, Rev. Dr. Ed Hird, St Simon's North Vancouver | Permalink. Categories: Uncategorized | Tags: 70 Years, St Simon's North Vancouver | Permalink.